She has always wanted to work in health, says occupational therapy alumna Folole Fangupo. Attending an AUT open day helped her find exactly what she was looking for, Folole says. 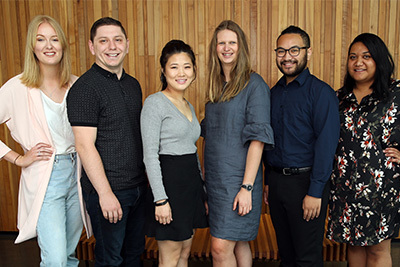 “I heard an occupational therapist talk about her experience and passion for mental health and addictions, and that resonated with me and inspired me to enrol in the occupational therapy degree. I realised that occupational therapy was a perfect fit for me, as it truly looks at a person in a holistic way emotionally and spiritually, and at what is important to a person. Being able to gain workplace experience as part of her degree was one of the highlights of her studies, Folole says. As someone who is passionate about the wellbeing of Pacific people, Folole appreciated that AUT supported her with placements where she could work with Pacific people of all ages. “I was able to connect and establish trusting relationships with Pacific clients and their families. Being a fluent Tongan speaker helped me establish those supportive, motivational and therapeutic relationships with Tongan families. She loves contributing to the development and implementation of clients’ recovery plans, Folole says. “I’m part of an interdisciplinary team that also includes nurses, social workers, psychiatrists, psychologists and community support workers, and we all work as a team to support our clients in their recovery." 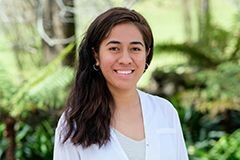 She is passionate about improving mental health amongst Pacific people in a way that reflects the diverse Pacific values, beliefs, languages and practices.